By David Ponce on 04/07/15 • Leave a comment! 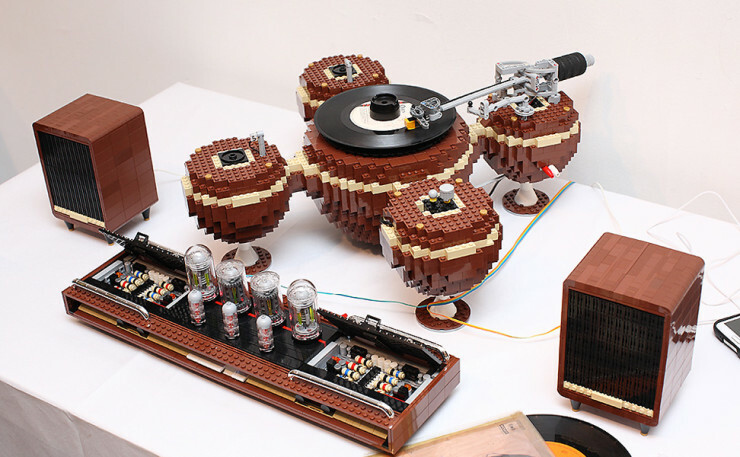 Normally, when you see something like a computer made from LEGO parts it’s just some dude’s DIY project, and you get to stare at some pictures and wonder how cool it would be to own your own. 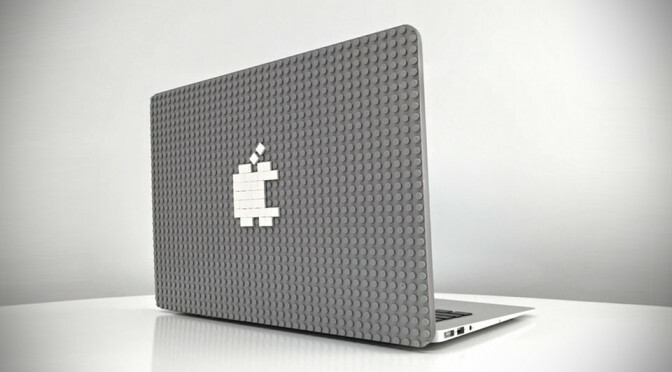 But you can actually buy Mike Schropp LEGO Computer. 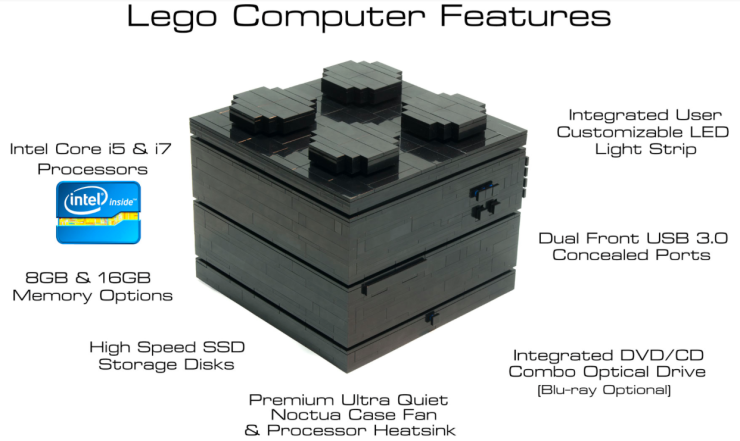 He’s been making custom LEGO PC creations for clients for a couple of years, and he finally decided to make a design that you can outright purchase on his website. 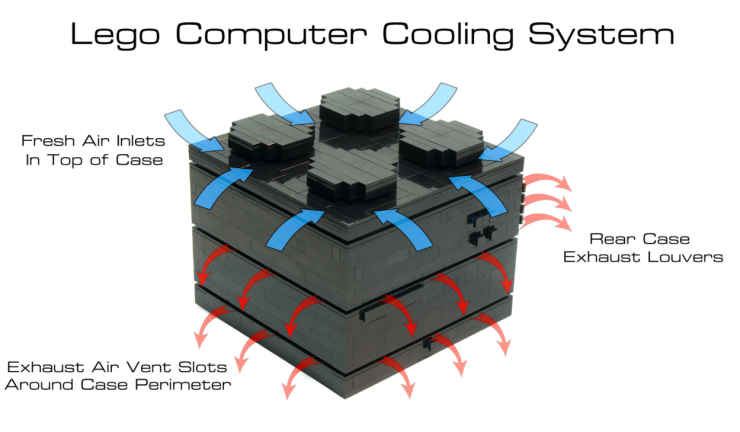 Configurations all include one of Intel’s Core processors, an Intel HD4600 graphic card, a 120GB SSD, 8GB or 16GB of LPDDR3 RAM, a DVD/CD Combo Superdrive, and a Noctua Low Profile Cooler. 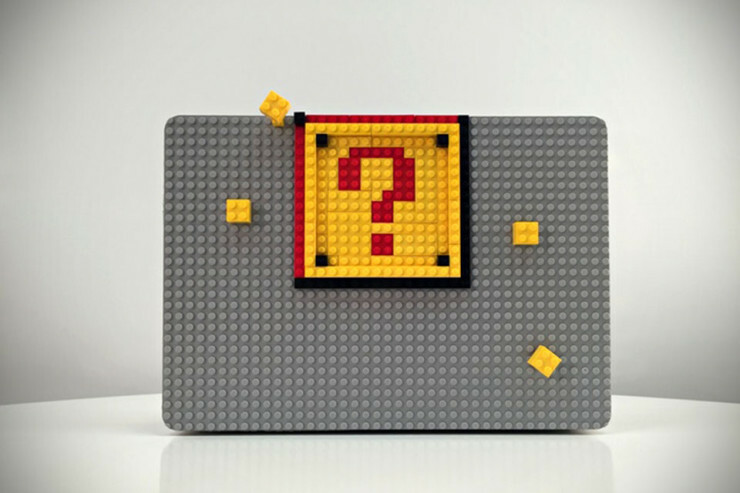 The entire thing is housed in a 7.5″ X 7.5″ X 6.5″ case that comes in three flavours: Industrial, Brick, and Tiled. A customizable LED strip accents the case, and the two lower grooves along the sides are actually air vents. It’s a cool looking, decently powerful PC, and is priced to move: the Core i3 configuration is $999, while the Intel i7-4790s Quad Core version is only $1,199. Considering these are all hand-crafter and Mike is currently getting a fair bit of attention, we don’t know what the lead time will be on your order so act fast if you don’t want to wait forever. The creation is called ‘The Planet’ and was displayed at the 2014 Seoul Brick Pop Art Exhibition. Make sure to follow the link below for a ton more pictures. 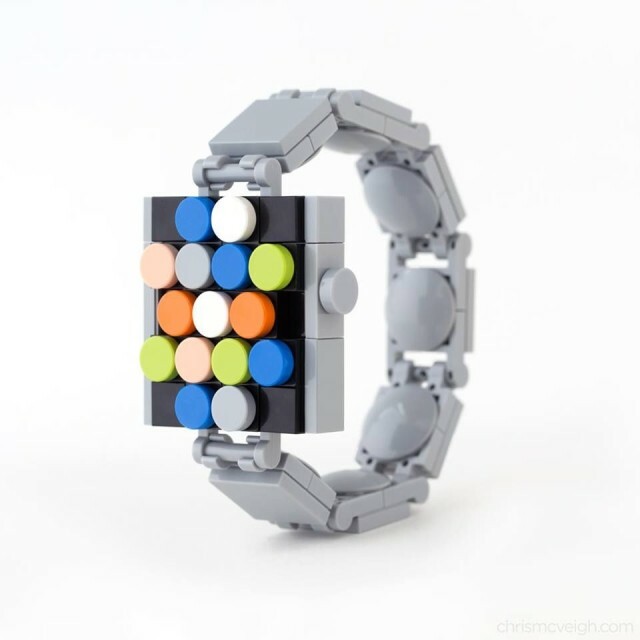 By David Ponce on 03/12/15 • Leave a comment! 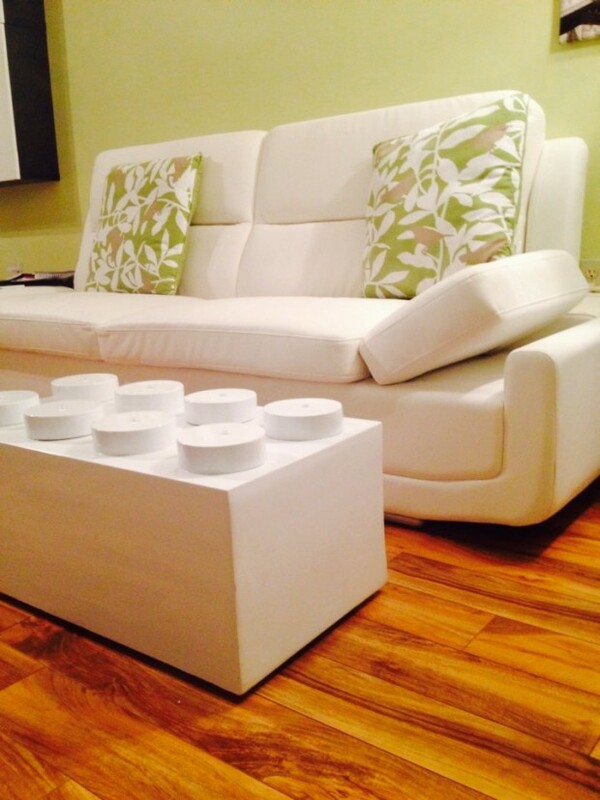 It looks like we’re going to be talking about coffee tables today. 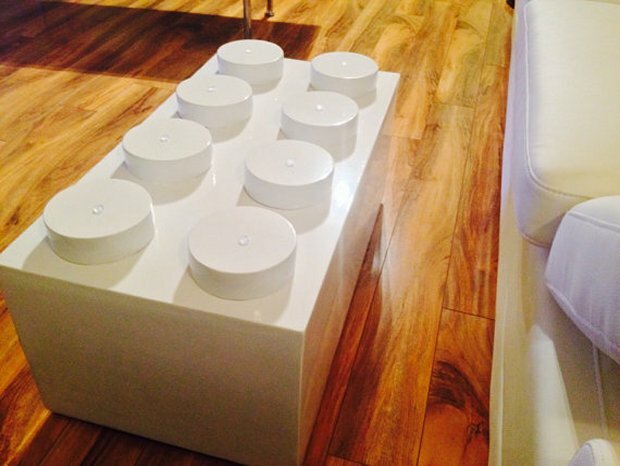 The LEGO Coffee table is the creation of Easy seller Branching Outward, and is made to order from lacquered wood and comes in a variety of finishes. 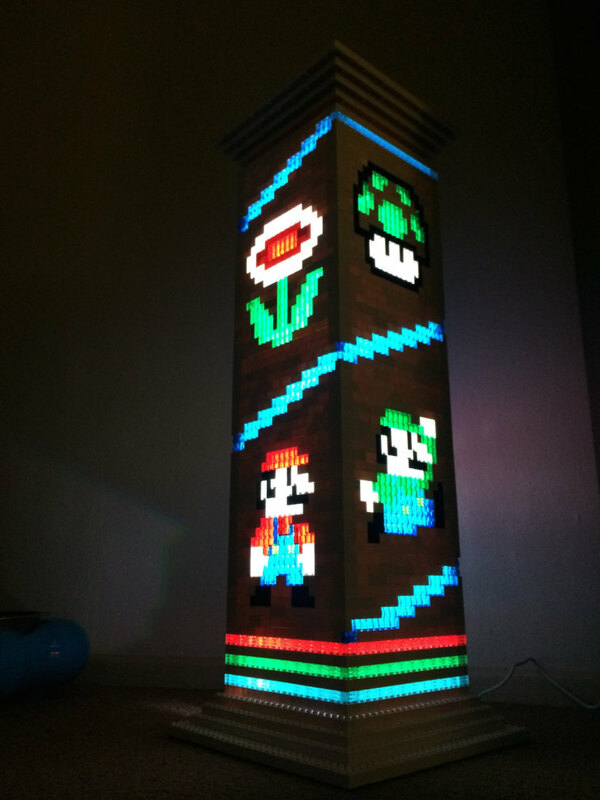 It measures 28.5 inches x 16 inches x 15 inches, eight in at 48lbs. and costs $375(USD). They’ll ship to the continental US only, so the rest of the world will have to go without this beauty. By Yulia Kluyko on 12/22/14 • Leave a comment! 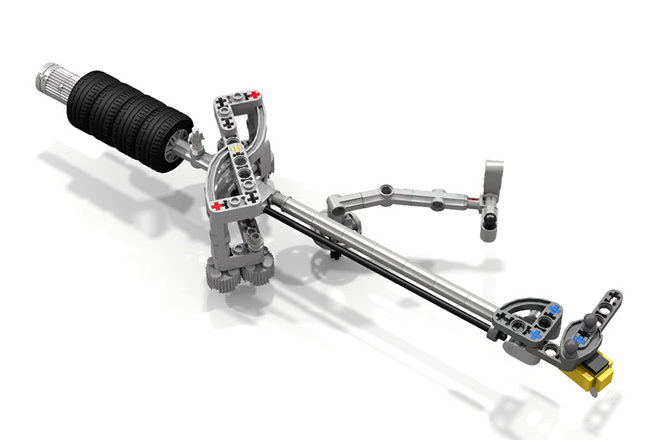 LEGO stuff is pretty darn popular amongst our audience; you can get a sense of just how true this is by looking at our coverage of LEGO material over the years. 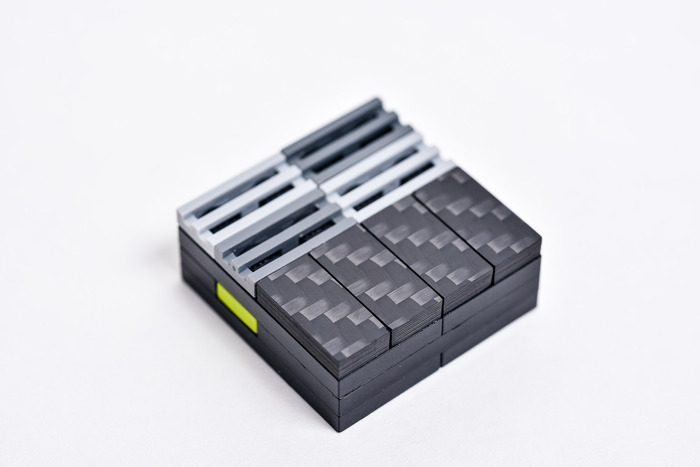 So we think you might like the above Carbon Fiber Tiles. They’re just 1X2 tiles that are covered in a glossy carbon fiber layer. You can use these to augment your regular creations, and give them a little flair. It’s purely aesthetic, and like anything made just for looks, costs a pretty penny. A 10-pack of 1X2 tiles will set you back a $14 pledge, while two of those packs costs $25, a $3 savings. Delivery, if the campaign fully funds, would be slated for January 2015. Remember being a kid and cherry-picking superpowers from different characters in order to create your very own super superhero? That was fun. Clearly, mashing things together is something we’ve been doing since childhood, and Argentinian art director Alexandre Tissier hasn’t lost his touch. Pictured are his renditions of what some pop culture characters would look like if they were mashed together and turned into a LEGO Minifig. 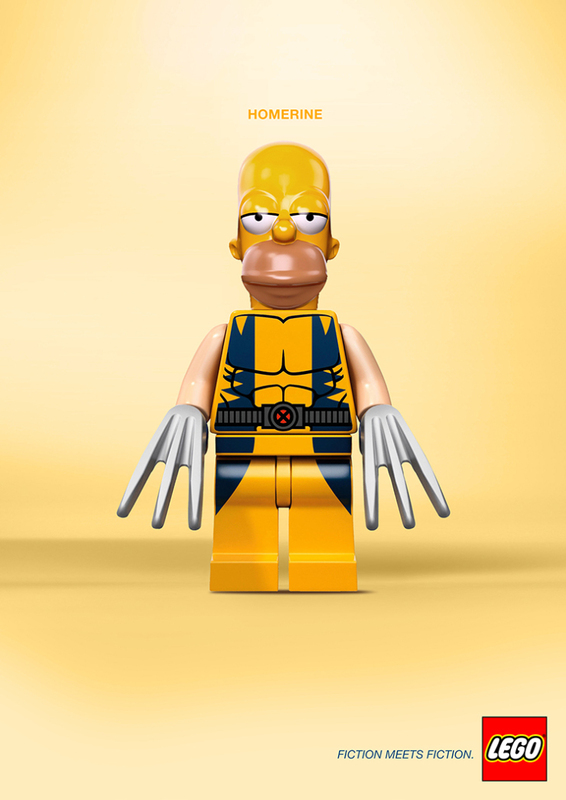 Homer and The Wolverine as a mining? Behold ‘Homerine’. James Bond with Spiderman? 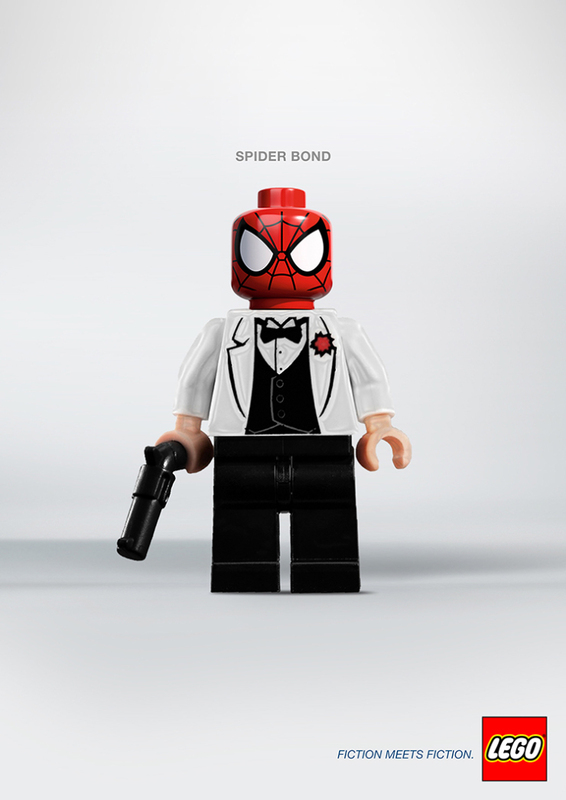 ‘Spider Bond’, of course. It’s for a fake ad campaign, and it’s not a product, or anything. Just Alexandre having some fun. We thought you might enjoy. Hit the jump for two more pics, and links. By David Ponce on 09/16/14 • Leave a comment! The Star Wars franchise is an enduring money-printing machine, all the more so now that they’re working on yet another episode. 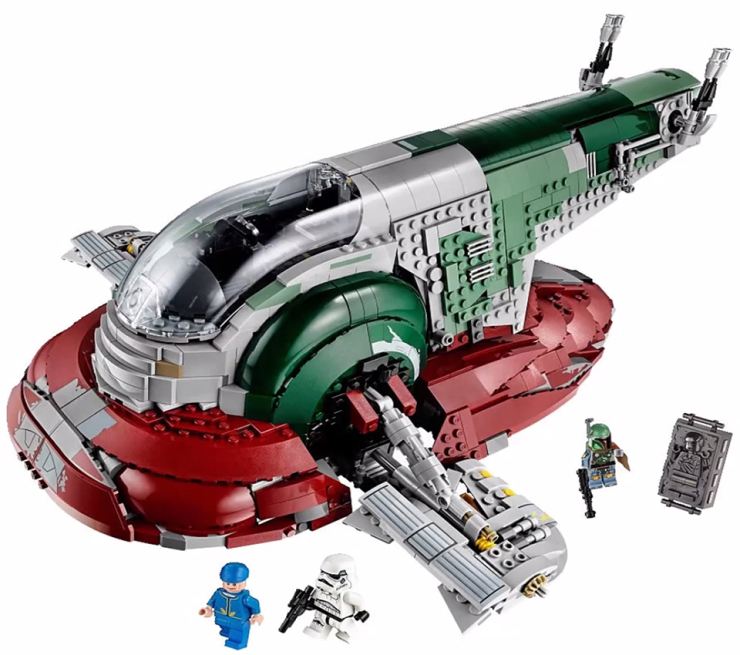 Hoping to cash in on the craze, LEGO will be releasing the UCS Star Wars Slave I 75060 set, which features 1,996 pieces and will cost $200. 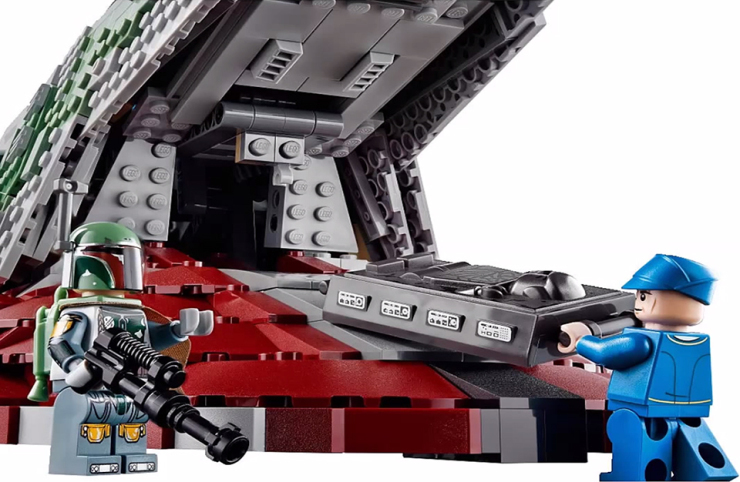 In case you don’t know, the Slave I is Boba Fett’s ship, and you’ll be able to recreate all your favourite scenes with it, as well as with the bevy of minifies that come packaged with it. These include regular Han Solo, Han Solo in Carbonite, Boba Fett, Bespin Guard and a Stormtrooper. Expect a late 2014 release date. 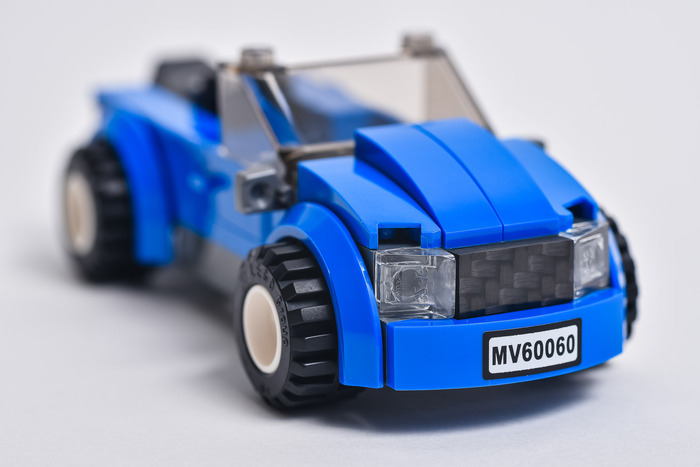 Hit the jump for more pics, including that of the minifigs.